For over twenty years, Avanti has crafted kitchenware that’s been loved by culinary professionals and home cooks alike. Their products are not only stylish and modern, but also functional – meaning that they’re always a pleasure to use. Avanti is a brand designed to streamline your every day life. We all need a few cool accessories in our lives - those interesting objects to add sparkle to the day. 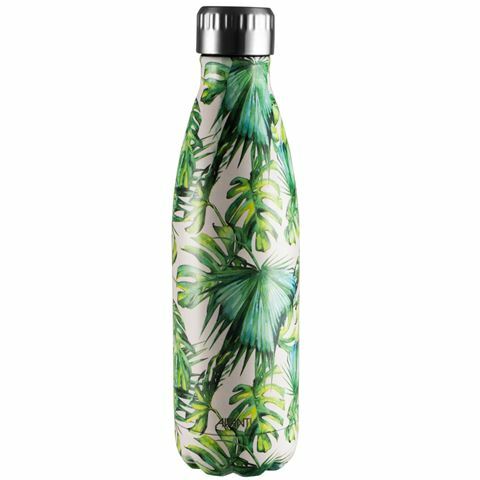 Well look no further than the Monsteria Pink & Green Double Wall Bottle. It has a holiday feel to it, reminding us of good times past and those to come. Crafted from 18/8 stainless steel, it will keep drinks cold for 24 hours or hot for 12 hours. You could take a few sips during your morning commute and still enjoy the rest piping hot at your desk. Now that's a nice break. Keep drinks cold for 24 hours/hot for 12 hours.